When it comes to moving there is one rule that always applies: we always think its way easier than it actually is. While we could write a whole book on the to-do’s we will try to limit the process to 10 important points which can also be regarded as golden rules when it comes moving. We always tend to think we have way less things, then when it comes to moving especially fast moving due to a fast sale home transaction, we realize we have so much that it’s hard to handle. Therefore this is a perfect opportunity to get rid of everything which we don’t need, don’t use and those whose existence we have forgotten long ago. Unused clothes can be either sold or donated and this is true to many other things as well. Even if it’s a fast move, you need to start your preparations as soon as you know that you will move within a few months’ time. This means to go through each room and do the upper mentioned decluttering, start packing away the goods which you don’t use on a daily level anyways. This is harder than one would think. First of all, there are tons of moving companies who have many conditions, such as not packing anything which is not pre-packed in a box already. Others may have other conditions which is well worth checking before arranging anything. It’s wise to find a moving company which also help you with bringing in all the boxes and furniture in the rooms you wish them to be. 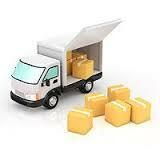 Get boxes on time, from any resource, the important is that you do the categorization per types of items. You can write or number each box according to the category of goods which are packed in them. Use smaller boxes for the heavier items, such as books or packing will be way harder to handle. You can put a category and a room number on the boxes so that they will be brought up accordingly. As most moving is scheduled for the weekends, it’s wise to set your moving day to a weekday. This way it will be easier to arrange the moving date with the moving company. Such as TV which is very hard to pack when it comes to moving. The wisest choice is to put away all the original packaging for all these electronics, but if many years have passed and they are already gone then make sure to pack them securely. This also includes toiletry, cleaning tools, cords, toilet paper, soaps, towels, and snacks just for you to get a quick reach to them. You will have tons of boxes and furniture so it’s sure you won’t be able to do all the packing out in one day. That’s why it’s useful to have an overnight bag where you put all the things you need for the evening. Because those are the ones which are the most crucial to have and they are the trickiest to transport too.